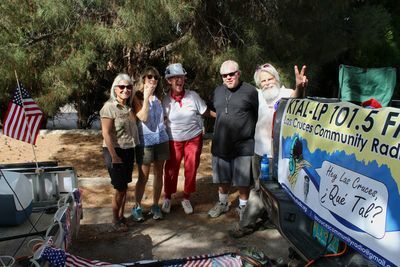 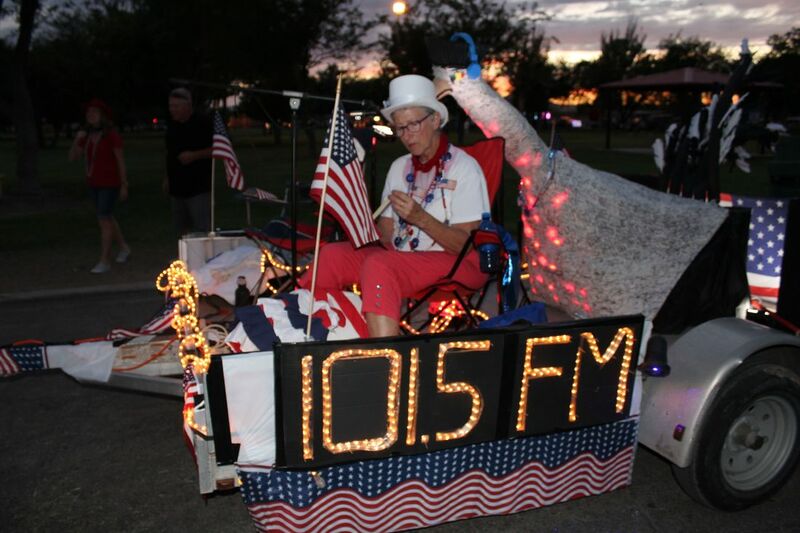 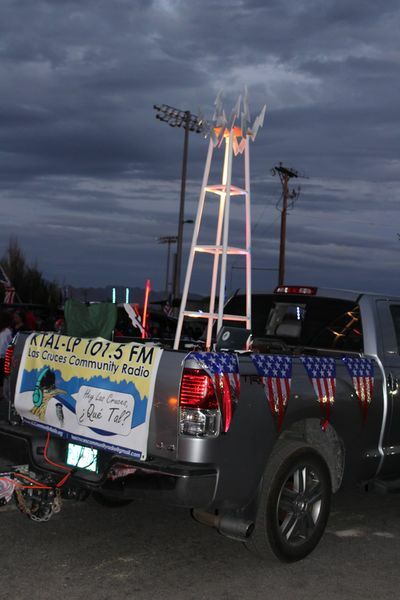 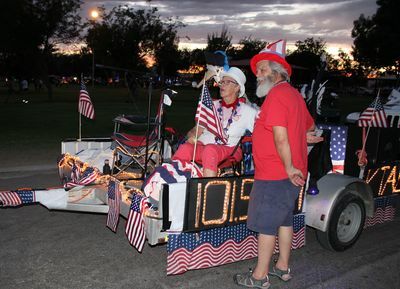 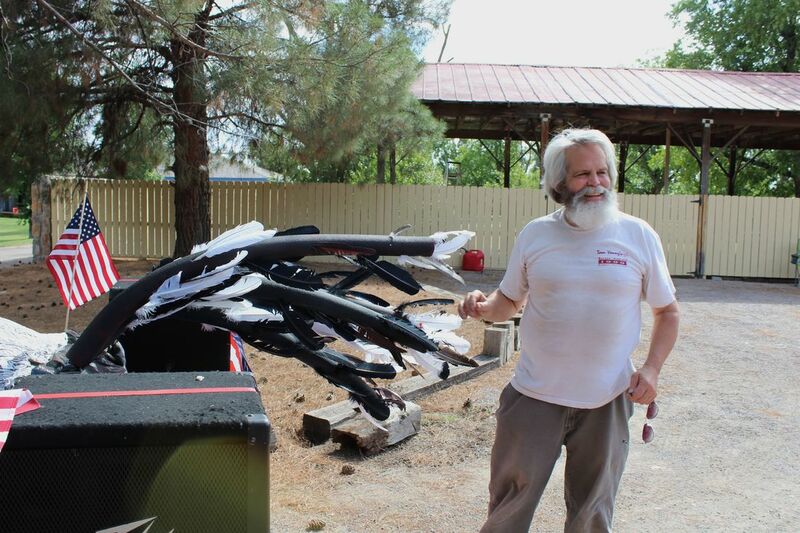 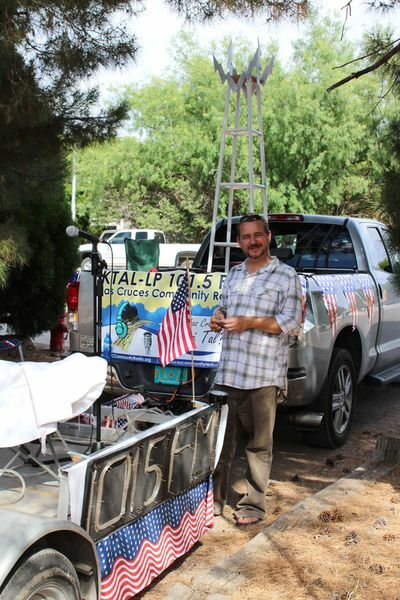 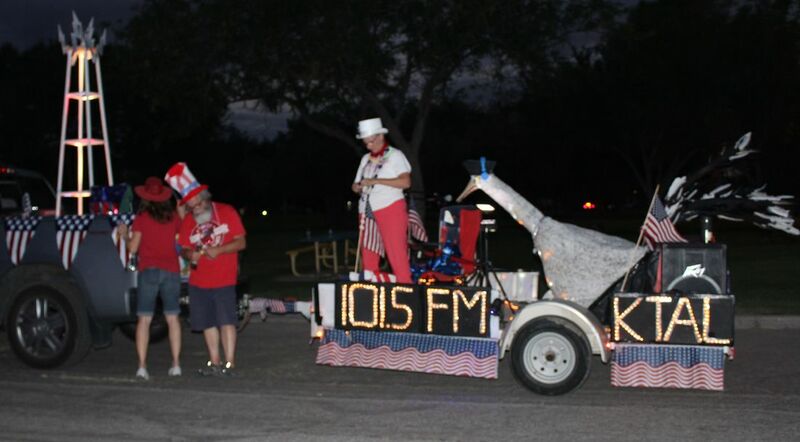 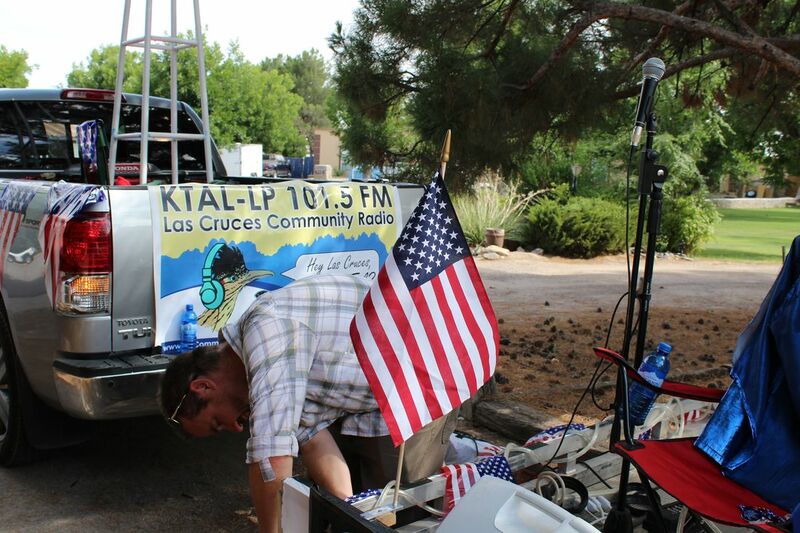 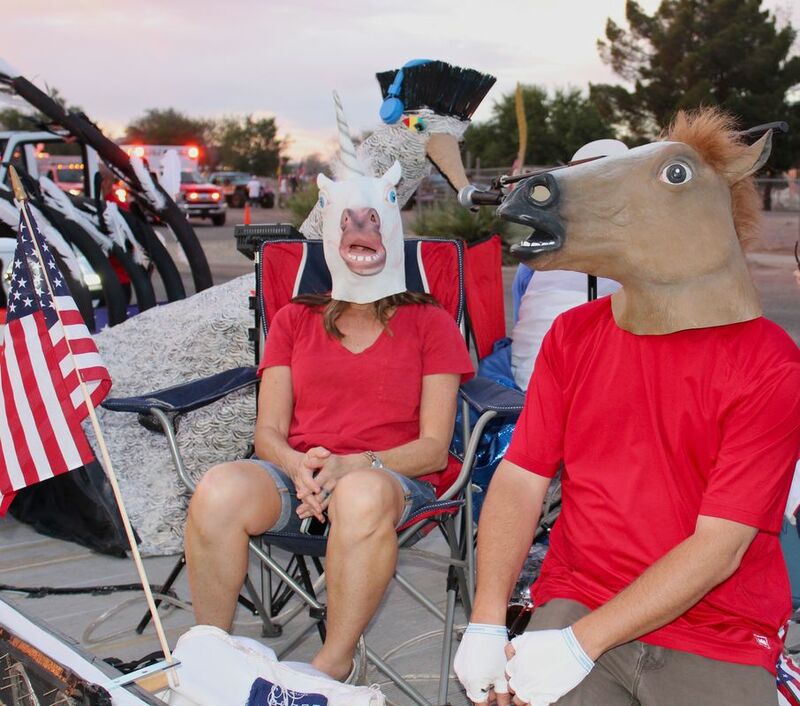 ​Thanks to the Herculean efforts of a crew of dedicated and creative KTAL Board members and volunteers, Las Cruces’ community radio station helped “Illuminate the Night” during the 2018 Electric Light Parade held July 3. 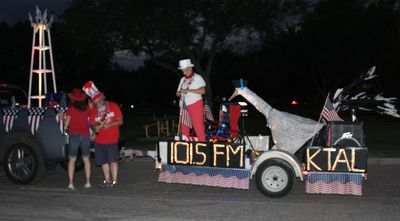 Board members Dave Wheeler, Bruce Ernst (President), Linda Hall, Lauren Butler and Corey Asbill and volunteers Minerva Rivera and Mike Smith worked feverishly over four days to prepare a parade float that included the KTAL mascot Chasey Chasem, a paper mache roadrunner, a broadcasting tower and rope lighting spelling out the station’s call letters and frequency. 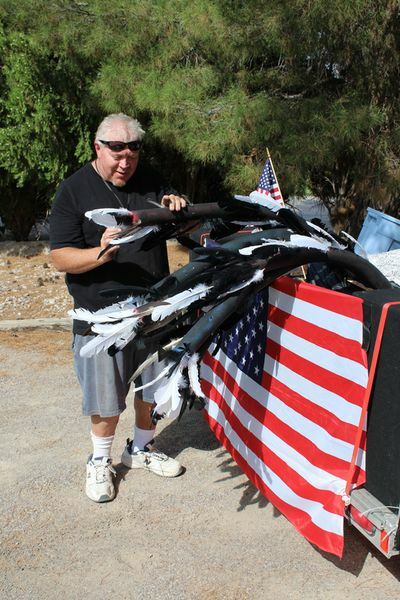 A variety of patriotic-themed music loaded on Dave’s laptop blasted out tunes as the truck and flatbed trailer rolled through the streets of Las Cruces before thousands of parade-goers who turned out along the route that ran from Apodaca Park on Madrid Avenue, down Solano to Hadley and on to the MAAG ball fields across from the Meerscheidt Recreation Center. 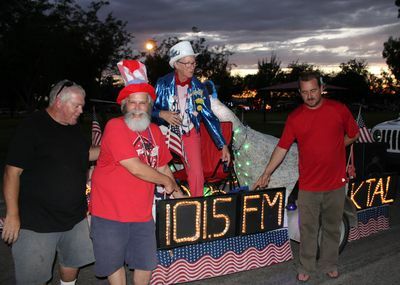 Bruce manned the PA system on the float, and Corey gave voice to Chasey, who proclaimed the presence of the city’s only community radio station. 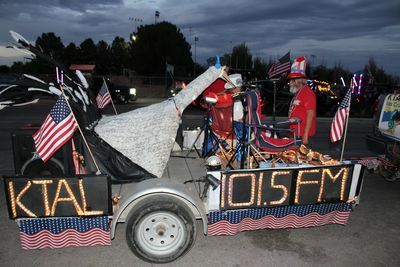 The float crew promises to enter an even more vibrant KTAL float in next year’s parade, as Que Tal Radio celebrates two years of bringing a voice to the community next July.